The stability of cylindrical precession of the dynamically symmetric satellite in the Newtonian gravitational field is studied. We consider the case when a center of mass of the satellite moves in an elliptic orbit, while the satellite rotates uniformly about the axis of its dynamical symmetry that is perpendicular to the orbit plane. In the case of the resonance 3:2 (Mercury type resonance) we have found the domains of instability of cylindrical precession of the satellite in the Liapunov sense and domains of its linear stability in the parameter space. Using the infinite determinant method we have calculated analytically the boundaries of the domains of instability as power series in the eccentricity of the orbit. 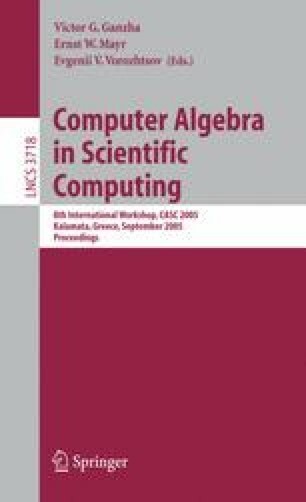 All the calculations have been done with the computer algebra system Mathematica.